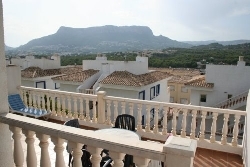 Spacious 2 bedroom fully air conditioned/heated apartment in Calpe, which is situated just 45 minutes from Alicante or 75 mins from Valencia airports. The apartment is on a small security gated complex, and has it's own lagoon shaped swimming pool. 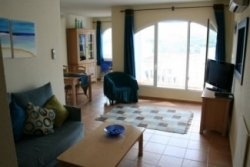 Furnished to a high standard , and complete with all modern convieniences tv,playstation 2, dvd etc, the property boasts it's own large private terrace, that comes with it's own sunloungers and also stunning views of the mountains beyond. The local town and beaches are just 1 mile away from our apartment. 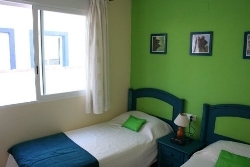 The property has 1 double and 1 twin room,also with their own air con. We can be flexible on arrival dates. 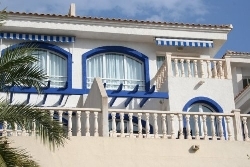 Calpe has all you need for a wonderful holiday.